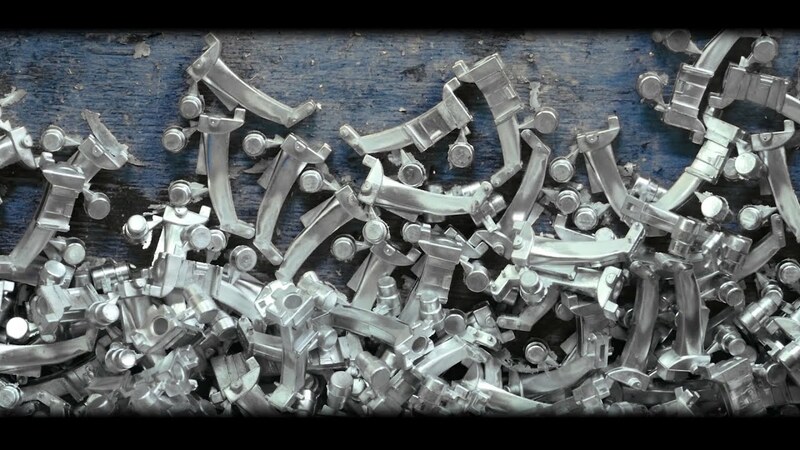 See why our presser feet are so special and how they are manufactured. BERNINA Presser feet – Did you know? BERNINA presser feet stand for precision and stability. They are easy to change and BERNINA has a suitable presser foot for every application. For all models in category A of the accessories catalog, presser feet with the 2-point shank opening are used. For all the remaining models in categories B to H of the accessories catalogue, presser feet with the closed shank opening are used. This presser feet are identified by foot numbers. For BERNINA sewing and embroidery machines with a maximum stitch width of 5.5 mm. sensor that specifies the stitch width to the sewing machine. For BERNINA sewing and embroidery machines with a maximum stitch width of 9 mm. The soles are longer and wider than on the 5.5 mm presser foot. BERNINA Dual Feed system. The sole therefore has a recess at the back for the Dual Feed. The sole is reinforced with 2 shanks. The letter "A" stands for automatic sewing of the buttonhole. Variable buttonhole length up to max. 30 mm. The machine measures the length of the buttonhole [mm] via the sensor and completes it automatically. The letter "B" stands for semi-automatic sewing of the buttonhole. The machine measures the length of the buttonhole [number of stitches] and completes the buttonhole in stages.